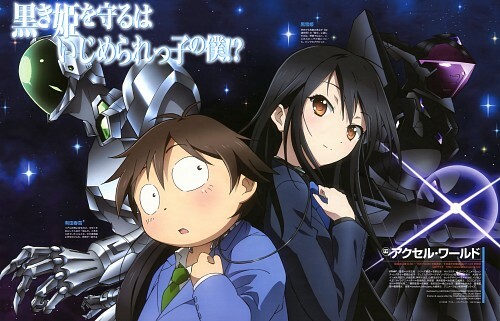 Accel World is an anime that had a great premise and an epic title as well. The fact that it was from the creator of Sword Art Online was another positive. With everything in its favor from the start, how could it not succeed? The posters for the anime have always looked really intense and the purple color scheme is definitely something that will hook you in. Time to see if the show could live up to all of the awesomeness that surrounded it. Well lets get into the plot to start things off. Haruyuki is not a very popular kid and he is not very fond of the real world. He is excellent at online games and since this takes place in the future, the games are very intense. I wont get very technical but basically you can throw your consciousness into the game that you pick and live out the game. Its what every serious gamer has considered in the past. Haruyuki is great at video games and he even holds the record in one of them. Unfortunately, his life is about to change! Kuroyukihime is basically the most popular girl at school and she decides to crush all of his dreams and aspirations by breaking his record in the reflex game online. She admits that she had to defy reality to do it and offers him a chance to learn the ability as well. With Brain Burst at his side, Haruyuki is now ready to enter the next level of gaming. Is there more to Kuroyukihime then she is letting on? Haruyuki goes on to join Kuroyukihime’s group; The Nega Nebulous along with a few other members. She wants to defeat the 5 Kings which will enable her to become a level 10 and find out the true reason behind Brain Burst’s existence. Haruyuki agrees to help her and this begins their journey to defeat them all and discover the truth! I should mention that this seems to be the plot for the entire franchise and not just this anime. (Since the anime ends very early on, this plot is nowhere near close to being completed) The last part of the anime is mainly about Haruyuki and his battle against Seiji. The clock is ticking and if Haruyuki doesn’t defeat him very quickly…his life will essentially be over. That’s enough about the plot. It may not have been very clear, but the plot is excellent and you’ll completely understand it once you start to watch the series. The soundtrack is top notch for the show and nearly all of the themes are very memorable. This is one series where you will walk away whistling the tunes and keeping a lot of it in your memory. I particularly like the theme named Silvery Wings but there are many other spectacular ones as well. The animation is some of the best out there, but only when they are in Accel World. How can that be? Well, in the human world, the animation uses an effect that I really do not like. All of the characters appear to be blushing fiercely for no reason throughout the whole series. It makes them look like they have a constant fever or are in awkward scenarios which isn’t the case. When was the last time someone was blushing while walking or thinking about battle strategies? I’m sure that the animation company was going for some sort of “realistic” look with this, but it failed miserably. Luckily, the animation in Accel World cancels this out. 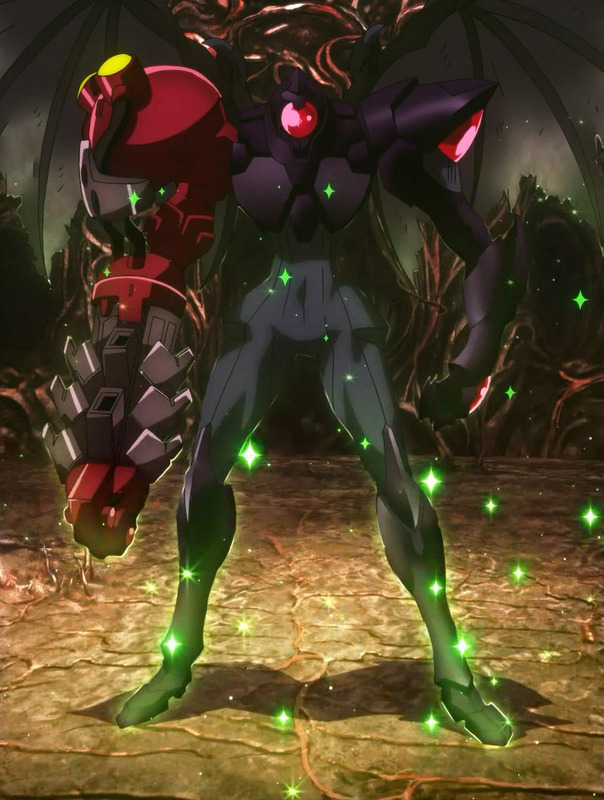 All of the Accel World character designs are mecha warriors so there is no reason to make them blush, which takes away the only negative factor in the animation. The designs for 99% of the fighters are excellent and the fight scenes are where you really get to see the animation shine. At its best, Accel World can easily keep up with any anime that I’ve ever seen in animation. Aside from the awesome fights, the flying effects are also amazing. Silver Crow always looks awe-inspiring and especially in his final flight scene of the series. If it’s one thing that makes Accel World stand apart from Sword Art Online, it would definitely be the animation. The animation in the human world may be regrettable, but the animation in Accel World is so great that it easily cancels that part out. Now, let’s talk about the characters! Haruyuki is a pretty bad main character. I actually did not mind him at first, but he quickly got worse as the series went on. At first you may feel a little bad for him since things aren’t going very well for him in the real world. He retreats into video games and that’s definitely not a bad thing, but that’s when things start to go downhill. After he meets Kuroyukihime, Haruyuki starts to have some pretty sad fantasies and loses his grip on reality as he slowly starts to lose all of his morals. He makes a lot of bad decisions during the later half of the series and I can’t say that he ever became likable after his descent. 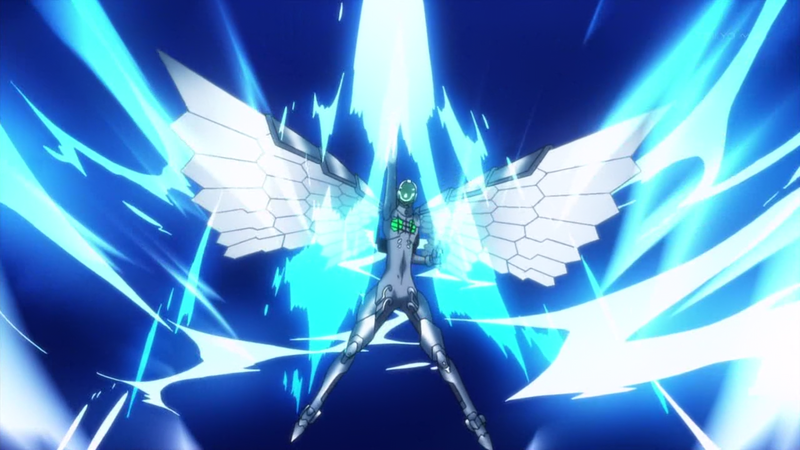 I do like Silver Crow if we decide to count him as a separate character than Haruyuki. Hard yuk is controlling him but their personalities are completely different and aside from a few scenes, Silver Crow is a pretty solid character. He may not be great, but he is a big step up from Haruyuki. His attacks are always very flashy and his design is great. He is a pretty good fighter towards the end of the series. He has a bad habit of giving up hope early on, but a lot of main characters make that mistake. Kuroyukihime is a pretty solid character. She is definitely a lot better than Haruyuki, she can be a little dramatic. Her romance with Haruyuki can definitely go a little over the top and I have to question her choice of friends. Her (filler) episode was probably the worst episode of the series or at least one of the worst thanks to a variety of reasons including: her friend, the insane amount of plot hax, and more reasons. Black Lotus is a very good character and she is essentially the strongest character in the series. Her fight against the Yellow king was pretty intense and that has really been he only time that we have seen her true power. She did have a bit of a fight in the finale, but she wasn’t really focusing on the fight. Her avatar has one of the best designs in the show and I look forward to seeing her get some more fights. I was a little sad that she didn’t really get any action in this series, but I’m sure that she will get more as the sequels start to come out. Chiyu was one of Haruyuki’s only friends for a long time and she’s a main character in the series. She gets a smaller role than the other characters since she did not get the Brain Burst program like the others. She wants to stay close to Haruyuki and Taku, but that becomes difficult when the three of them start to split up. I definitely did not care for Chiyu as she definitely made things hard for Haruyuki and kept trying to get him to go over to the wrong side. She was a good character during the very beginning of the series, but she quickly dropped after that. Lime Bell isn’t a very likable character either as she may have had a good plan in the end, but it just wasn’t worth it. There were much better plans that could have been executed and this one was way too risky. She’s not very good in a fight either which can be a bad weakness. Taku is Haruyuki’s other friend and he makes sure to get a lot of character development during the series. He starts out as a character who’s more unlikable than half of the villains. He’s evil in every sense of the word and while he may think that he’s on the side of justice…just look at Light! He does have some pretty intense scenes during his first big fight, but I still couldn’t take him seriously in the end. As the series progresses, he gets better. He’s a much different person than at the beginning, but I still couldn’t consider myself to become a fan. He was just too far gone by that time. His avatar is Cyan Pile and I do like the design. The problem is his choice of weapon for the majority of the series. He uses a spear which isn’t good for long range or close range and that means that he’s a liability in a fight. Hand to hand combat skills would have been an improvement for him and that’s saying something! I’m not sure how he got to his current level with his lack of ability, but he’s a decent character. He’s definitely not the strongest character out there, but he’s good as a blocker. There were some fighters who weren’t a part of any group at the moment like Sky Raker and Aqua Current. I didn’t care for Aqua Current, but Sky Raker is a decent character. Sky Raker may have given up on fighting, but maybe she’ll change that in the future. Either way, it’s just a game I suppose….Aqua Current nearly had a great plot twist at the end, but it didn’t happen so her character couldn’t be saved. Scarlet Rain is the current Red King and she gets the most action from the Kings…which is a bad thing for her. It’s common that the first of the “Super” villains will look really good, but will ultimately be the weakest or at least one of the weakest. She has a very large arsenal of long range weapons at her disposal, but her critical weakness is that she cannot fight in close combat situations. She does have her Incarnate abilities, but she hasn’t used them in actual combat yet. She’s a decent character for the most part, but she can definitely get on your nerves after a while. Blood Leopard is another member from the Red group and while she doesn’t appear for very long, we get to see her fight in one of the episodes. Her abilities aren’t very impressive, but she’s a decent fighter and a decent character as well. I will need her to have more scenes before I can really gauge how cool she is. Yellow Radio is the Yellow King and he’s easily the strongest of the 5 Kings that we’ve seen in action. (This means that we are not counting the Blue King and Kuroyukihime is in a league of her own anyway) His fight scene is very impressive and he can move at speeds that are basically unheard of. His special ability isn’t offensive in its nature, but it can be very useful in combat although it seems easy to escape. I have a feeling that we’ll be seeing a lot more of this guy since he seems to be the most antagonistic of the 5 Kings. There isn’t much to say about the Blue King except that he’s pretty awesome. He hasn’t really done anything yet and he’s already one of my favorite characters in the franchise. Mark my words, this guy is definitely going to be one of the strongest enemies that the heroes face and only Kuroyukihime really has a chance against him at their current level. I’m hyped for his fights and I hope that they happen soon. His design is incredible and his power level is likely off the charts. His two lieutenants are also pretty good and highly skilled, but we have not gotten to see them that much yet either. They won their battle, but it was against a pretty weak opponent. 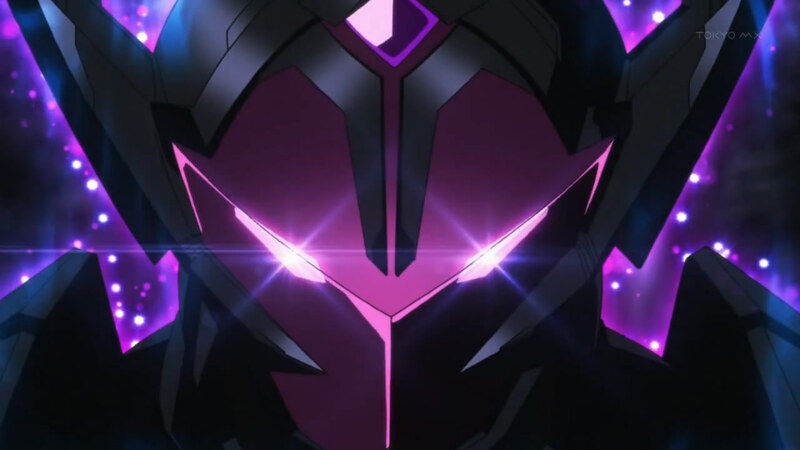 Black Vise is one of the final villains to appear in the series yet he definitely makes a bold entrance. He was able to hold off Kuroyukihime for a while before making a retreat which is pretty rare. Kuroyukhime wasn’t fully concentrating on the battle, but it’s still an impressive feat. He seems like a higher up in the organization and he could prove to be trouble for the 5 Kings. Dusk Taker is the final villain of the series so you can probably guess that he’s pretty skilled. His abilities may not be on the level of the 5 Kings, (Although he could possibly take on Scarlet Rain) but he is definitely a threat. His abilities enable him to permanently steal the ability of another fighter and add it to his collection. He’s limited in how many abilities he can keep at once, but that’s definitely not going to stop him from assembling an all star roster of powers. He’s very skilled in both hand to hand combat and long range abilities. His speed is definitely up there with the strongest fighters in the game thanks to his flying ability. His battle with Silver Crow is pretty spectacular and it would have been over sooner if not for the real life drama. Dusk Taker lasts for a very long time, but it is not due to his own level of ability and more due to Haruyuki’s failures. Ash Roller is a pretty cool character and while he doesn’t get to appear very much, he’s a good guy to have around. Unlike most of the other characters who take this way too seriously, he realizes that this is just a computer game so he has a lot of fun. He’s easily one of the weaker characters, but that doesn’t stop him from giving it his all! Chrome Disaster is one of the tougher opponents of the series and he’s a very solid villain. Chrome Disaster is a mantle that is passed on when a user dons the dreaded Disaster Armor. He was able to stand up to an opponent as skilled as Black Lotus and his speed is pretty good as Silver Crow had a tough time catching up to him. While I doubt that he could really defeat them in the end, he’s still a villain who should be taken seriously. The character roster is definitely pretty solid for the most part, but we do have some characters who are unlikable as with all shows. Kuroyukihime’s friend, Megumi, can be particularly annoying and I didn’t care for Sulfur Pot either. We also did have a few throwaway villains throughout the series, but at least the designs tend to be pretty cool. One thing that can be hard to remember at times is that it’s all a game. Even if you destroy someone in the game, they keep their life in the real world, the game data is just deleted and they forget about it. The characters take everything a little too seriously at times and they act like it’s all real. 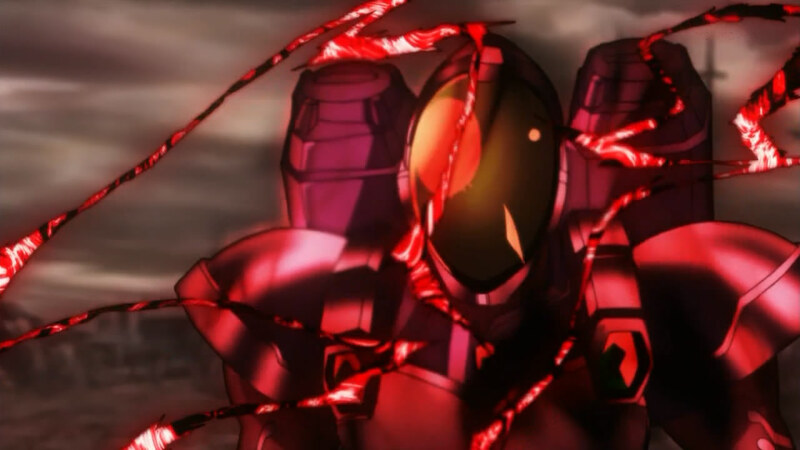 This is why Accel World is one of the few exceptions where I’m okay with the heroes destroying their opponents. The opponents are okay in the real world so there’s no damage being done. I could go into the moral implications more if needed, but I don’t see anything wrong with that. Accel World does have its negatives as well. There is a lot of romance in the series and they also add in some fan service. It’s not as excessive as other shows, (Index) but it can still be a bit much. It’s too bad that shows have to resort to this thing nowadays. Back in my day, things were different! (Justice League, Megaman NT Warrior, etc) There is also one episode in particular that was pretty bad and ironically enough, it was Kuroyukihime’s episode. They tried to make it relevant by adding villains and organization references, but it was really just filler and it was poorly done. It was the only episode that I could say was pretty bad. It’s too bad since an episode about Kuroyukihime should really be pretty awesome, but all anime make mistakes at some point I guess. All right, time to compare this show to Sword Art Online for a little bit. I will compare them a lot more once I review Sword Art Online, but I may as well give you guys a little background before that time and we’ll see if I’ve changed my views on some things. Accel World definitely has the stronger fighters at this point and I believe that Kuroyukihime could effortlessly destroy everyone in SAO. 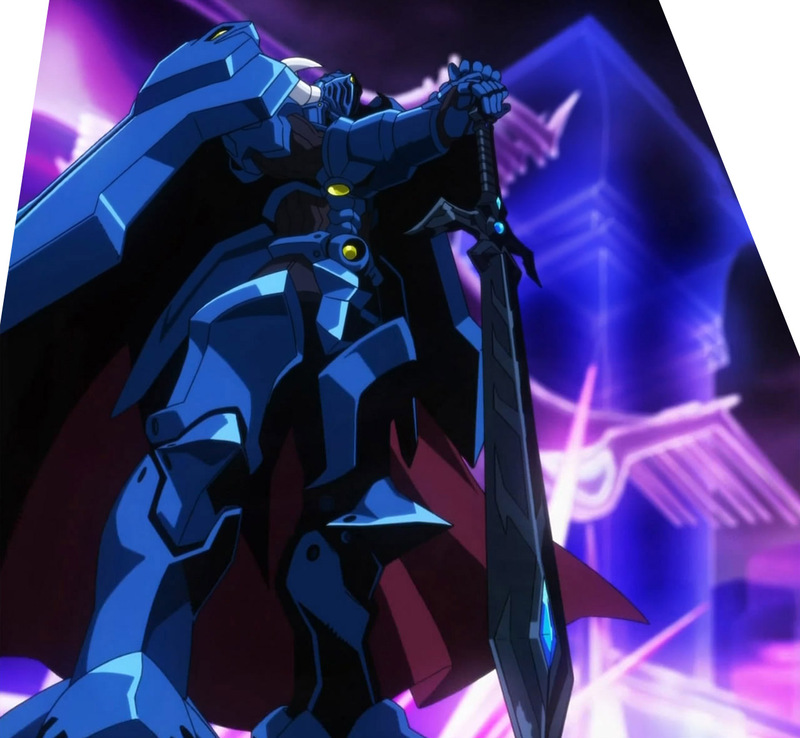 Accel World also has the better villains although Sword Art Online has some pretty great monsters. Sword Art Online counters this with the fact that Kirito is infinitely better than Haruyuki as a main character. I would give Accel World the edge in animation as well although SAO doesn’t suffer from the faults of the human animation in Accel World. Both anime have a very solid 5 Star soundtrack but Accel World has the slight edge in this area as well. Accel World is also more engaging and has a better cast overall, but Sword Art Online has a lot more stakes. In SAO, if you lose…then you die. In Accel World, you just get your memories of the game deleted. That’s enough comparisons for now, but I’d say that Accel World seems to have the edge overall. There may be less stakes but it’s still more fun. Overall, I would definitely recommend checking this anime out. The positives definitely outweigh the negatives and it’s pretty fun. The stakes may be pretty low compared to most of the other anime, but sometimes that just makes things more exciting. We don’t have to worry about the extra drama and we can just focus on the intense battles! The animation is definitely top notch and I haven’t seen such a great array of character designs in a long time. The anime isn’t very long and you’ll be able to blast through it pretty quickly. You don’t have to worry about a lot of violence as this show is actually decently tame. It’s not Pokemon, but neither is it something like Bleach or even Naruto. You can expect a few Accel World characters to make their debuts on the blog sometime during the week. Until then, go check out the anime and let me know how you enjoyed it!